Alumicenter will customize the Louvered Roof System to compliment your home and lifestyle. 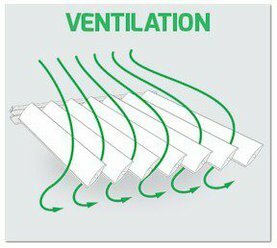 Our Pros can integrate the louvers flawlessly into any architectural style, gable roofs, bay windows, doors, or angled roofs and even walls. Colors include white, sandstone and clay. Virtually any material and finish can be applied to the Equinox Louvered Roof frame to achieve your desired look and feel. Décor elements can be customized to include columns and beams to fully complement your home’s style. Round, tapered, square, and fluted are a few possibilities. Closes Automatically when it Rains. Forget about the weather. With our Louvered Roof System, you control the elements and decide how much sun, shade or ventilation you want to enjoy. There’s no better time to start adding value to your home than the present. Whether you’re expanding, building or completely renovating your patio area, we have a unique home improvement solution for you. Contact us for more information today.